As is common nowadays with superhero sequels, The Amazing Spider-Man 2 – the second film in Sony’s rebooted Marvel franchise – goes bigger and darker than the first one. However, what sets this one apart from all the other comic-book follow-ups is that, oddly enough, it KNOWS it’s a comic-book follow-up. And as such, it understands the audience wants a good fun time without bogging itself down in po-faced seriousness all the way through – you know, the stuff that helped kill Man of Steel and a few others like it – so it goes out of its way to make sure you’re entertained no matter what. Helping this is that, once again, we are given characters who we greatly like and want to see succeed, and actors who are good enough to make them come alive. Andrew Garfield is the Peter Parker/Spider-Man we’ve been waiting for all this time, and kudos to Tobey Maguire for trying his hardest in Sam Raimi’s original trilogy but Garfield is the much more natural and believable actor in the role – funny, charming and extremely likable, he continues to be wonderful in the role. The same can be said for Emma Stone, whose adorable personality fits beautifully with her Gwen Stacy, and her on-screen chemistry with Garfield is as much a major driving force for the movie as it was before. Other returning players, including Sally Field as Aunt May, also continue to excel and at times even better their Raimi-era counterparts. As for the newer players, particularly the villains, Jamie Foxx brings a subtle tragedy to his geeky electrician turned high-voltage nemesis Max Dillon/Electro. His loneliness and desperation to be noticed by people who would otherwise ignore him gives him a unique personality that some of the other past Spider-Man villains didn’t seem to have. As an outcast character, he bizarrely gains some of our sympathy – when he sees his image on the screens of Times Square in a stand-out set piece, he genuinely seems overwhelmed and excited about having people see him at last – but as we get further through the movie, that part of him seems to be cast aside and soon he’s another super-powered baddie with a diabolical scheme. Meanwhile, as the new incarnation of Harry Osborn, Dane DeHaan gives the character his own little quirks that help him stand out. Much like Garfield, he feels much more believable and natural as the tormented rich kid than in Raimi’s films, and is given a good amount of material to develop new areas of the character we hadn’t seen previously. As for Giamatti, you may be disappointed to know he only bookends the movie and does not appear at all in between, presumably as a character we’re going to see more of in future Spider-Man movies. The film is quite busy with a lot of things fighting for screen-time – Peter and Gwen’s relationship problems; Harry’s attempts to cure a genetic disease that claimed his distant father, Norman (Chris Cooper in an extended cameo); OsCorp’s shady covering-up of past accidents; even Aunt May is making a big deal for some reason about taking on a nursing course – so all of that, on top of a slightly overcrowded villain roster, might be hard for some to take in. It does a fine job at cramming in all it can into its 142-minute running time, but perhaps some parts could have been removed to develop others that needed it. They had no problem axing Shailene Woodley’s small scenes as Mary Jane Watson to make room (though it’s unlikely the Divergent actress will return to the role proper for the third film), so there shouldn’t have been that much of a bother doing away with other unnecessary bits. But for what they kept in, they all fit rather neatly together. Though it’s unlikely The Amazing Spider-Man 2 will sway any cynics who continue to see the reboot as a waste of time, it still holds up as a surprisingly strong sequel that both expands the characters and story while also keeping things exactly where they need to be: fun and enjoyable. 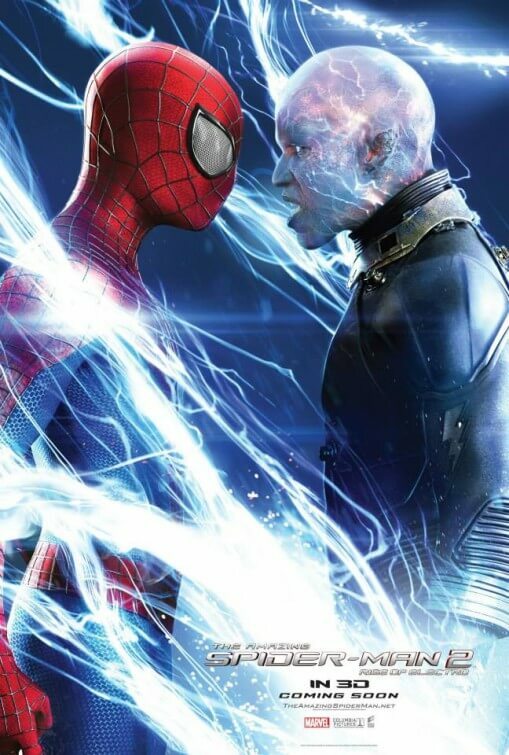 The Amazing Spider-Man 2 is a solid superhero sequel, boosted by strong and likable performances, an expansive story arc and fine entertainment that actually remembers to consider the enjoyment of the audience instead of going full-out dark – a very welcome beacon in the ongoing trend of “bigger” and “darker”.